Damages To Collect When You Sue for Debt Harassment in VA | The Consumer Law Group, P.C. Just because you owe money to a credit card company, doctor or hospital, or cellular service provider does not mean you deserve to be harassed by a debt collector. In fact, there are federal laws in place to protect you from harassment and abuse by debt collectors. When you are facing this kind of treatment, you can take action to not only stop the persecution, but you also might be entitled to monetary damages for your suffering. Physical distress. If the constant harassment has affected your physical well-being, you may be able to sue for the cost of treatment for the headaches, heart problems, skin rashes, or other stress-related conditions you have suffered. Emotional distress. Relentless phone calls demanding money you do not have can cause a great deal of mental anguish. Debt harassment can affect relationships, employment status, and your general mental health. 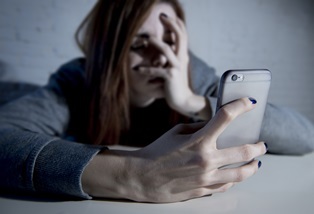 If you can prove a connection between your emotional suffering and the debt collector’s actions, you may be able to recover damages. Lost wages. If a debt collector calls you at work and disrupts your productivity or calls your employer directly—which is illegal—you may suffer a loss in wages. You can recover these lost wages in a lawsuit against the collector. Statutory damages. Regardless of the other damages, you are able to prove, you are also entitled to up to $1000 in statutory damages. You do not have to prove actual financial losses to get these damages, but the amount you are awarded will be up to the judge. Attorney fees and legal costs. If you successfully prove that a FDCPA violation occurred, the judge will order the defendant to pay all of your legal costs on top of other damages. If you have a question about whether you are being harassed by a debt collector, contact our consumer attorneys at 804.282.7900. We are here to answer your questions and will help you take action against an unscrupulous debt collector if we feel you have just caused.